Heber Valley receives six applications per season. The Park City area receives five applications since the growing season is shorter. The Wasatch Front areas receive seven applications because the area has a longer growing season. During the growing season, we visit your home on a four to six-week basis to apply nutrients to your lawn and to take care of any weeds. Our company uses superior products that cause minimal environmental impact and our technicians spot-spray weeds whenever possible. Not all of our products are organic, but everything we do centers around establishing a truly healthy lawn with your family and pets in mind. Many lawn care companies simply drench the grass with cheap weed control and nitrogen that can sterilize the soil and contaminate our water supply. We stand firmly against those practices. We will improve the health of your Utah lawn and help it grow green, thick, and weed-free. We use the highest-quality products available with the lowest impact on the environment. We are a local, Utah-based company and cater our programs to address problems specific to the Utah area. Talk to our technicians and see why we consider them our greatest asset. They are knowledgeable, well-trained, certified technicians we are proud to employ. You will receive responsive, unrivaled customer service. Call, text, or email us any time. Let us help improve the health and beauty of your flower beds. We use only 100% organic fertilizers, compost teas, soil amendments in our treatments. Our products produce healthy flowerbeds and shrubbery while invigorating the soil to build plants that are robust and pop with color. You’ll notice your plants have less fungal diseases because our organic foliar spray protects your plants from disease. You’ll also observe your plants are healthier, stronger, and more resilient to fight off potential threats. What’s Included in the Plant Fertilization Program? Eco Lawn offers a plant fertilization program for your flowers, plants, and ornamental shrubs. Our highly-trained technicians will come out 4 times a season to apply high-quality, organic fertilizers and soil amendments infused with compost and micronutrients to your flowers, plants, and shrubs. *This program can be bundled with the garden weed control program at a heavily discounted price. We use all organic fertilizers and soil amendments on your plants and shrubs. Our treatments will improve the health of your bed soil. Our treatments will help your plants grow stronger and more resilient. Healthier, stronger plants improve the look of your beds and add curb appeal. At Ecolawn, we start your noxious weed control program by assessing the extent of noxious weeds on your property and form a long-range plan to reduce noxious weeds from your property. Homeowners can upload pictures of their weed problems to our customer service web site for an even quicker evaluation. We’ll visit two to three times throughout the season (depending on the severity of the infestation), walk your property and spray the weeds, working to eliminate noxious weeds from the area. We’ll also coach you in best management practices to help in the fight to keep noxious weeds off your property. We provide noxious weed control services to residential properties, local governments, HOAs, property management companies. A noxious weed is a plant that the government has designated as harmful to crops, animals, habitats, or entire ecosystems. Many are invasive. They choke out native plants and crops, ruin trails and recreation areas, and even poison animals. Under Rule R-68-9 Utah Noxious Weed Act, you must take action if these plants are on your property. Noxious weeds are tricky. They come in many forms, and can be easily confused with non-noxious plants, particularly during the early stages of development. For this reason, it’s important to hire a well-trained technician. Our technicians are certified and thoroughly trained. Significant reduction of noxious weeds, limiting the damage these aggressive invaders are doing to areas of Utah. Your acreage will look well-kept. We limit the spread of these weeds to your neighbors’ property and other areas. At Ecolawn, we’re Utah experts on organic lawn care and natural plant health care. We take a holistic, conservative approach to organic weed control for your UT flowerbeds and landscapes. We use fully organic, OMRI-certified product to eradicate the weeds in your gardens, along your driveway, and in your sidewalks. When it comes to spraying in your garden beds, you need a company that takes your garden as seriously as you do. You need technicians who are extremely careful and well trained. We are proud to tell you that each of our technicians is certified and rigorously trained. Broadleaf Weeds: Dandelion, Plantain, Thistle, Clover, Oxalis, Spurge, Yarrow, Ground Ivy, Chickweed, Black Medic, Pigweed, Purslane, Speedwell, Star of Bethlehem, Curly Dock, Bindweed, Grape Hyacinth, Henbit, Kochia, Mallow, Violets, Yellow Woodsorrel, and many more. *This program can be bundled with the plant fertilization program at a heavily discounted price. Get clean, beautiful beds without pulling weeds through the hot Utah summer. This program is fully organic and we use the best quality organic weed control products available. This program does NOT include any use of Round Up™ (Glyphosate). Again, we use all organic products. Our technicians are Certified and highly-trained. Since Utah is in the mountain area, the soil is more desert/clay soil. Utah soils are very hard, and soil compaction is a reality for all Utah lawns. For our aeration services, we use an aerator to pull small plugs of soil out of the ground. Aeration opens up the soil to receive water, sunlight and oxygen. We customize our Utah lawn care services, including our core aeration and overseeding services, to benefit your unique lawn. We don’t employ a one-size fit all approach to lawn care. We develop a holistic approach to lawn care that includes feeding and nurturing the soil as well as encouraging healthy lawn grass. At Ecolawn, we use two water-saving products that draw moisture from the atmosphere and keep it locked in the soil for a longer period. Typically, gravity will pull water vapor away from the soil so it can’t percolate down deep into the ground. Plants can’t use water vapor—they take up their moisture through their root system. Hydretain is a natural product that works against gravity by transforming water vapor into moisture droplets that the plant can absorb and translocate to the rest of the plant. Hydretain does that by acting like a magnet, drawing down water evaporation back into the soil and keeping it in the roots. Most customers only need one application in the spring. We take appointments to apply this product in March or April. It lasts three months in the soil—getting your property through Utah’s harsh, dry summers. Use less of our precious water resources while maintaining healthy grass and plant growth. A conservative estimate is that you will use 40% less water when treated on this program. Treatments can help maintain your lawn and plants during water usage restrictions. You will see a reduction in your water bills. You’ll see a reduction in drought stress spots and grow healthier, more resilient grass during times of drought. This product also helps with seed germination and fertilization. You’ll notice grass sprouting faster with treatment. We use safer products than traditional lawn fertilization companies. We use the highest quality products available. We brew our own compost tea. We apply it to your lawn to add a supercharge of organic nutrients and healthy microorganisms to your grass and soil, which improves the health and appearance of your Utah lawn. Children and pets can play in the yard within an hour of application. Our fertilizers have organic soil conditioners which are made from natural sources. We spot treat weeds using the least toxic weed controls on the market. We use slow-release fertilizers that limit damage to the Utah environment. Our technicians are highly skilled, licensed experts on lawn care services and products. They are required to continue training in best lawn care practices and natural lawn care products. We have local Utah customer service representatives dedicated to making sure you get the service you deserve. You can call or text us anytime. If you are not happy with a treatment or service we provide, we will work with you until you are satisfied. We offer free weed touch-ups and service calls in between treatments when needed. We want our customers to trust us, to know that we will solve problems, and feel they are getting the service they deserve. What will your lawn look like? Who's Caring For Your Lawn? We offer safer, organic lawn care products. Right now, 40% of our organic products are OMRI-certified. Our goal: 100% OMRI-certified in the near future. Many of our products are organic but do not yet have the OMRI certified label. Ecolawn is pioneering a better form of lawn care in Utah. We’re looking to change the industry with advanced products and techniques that are better and safer for the people and pets of Utah and the land we love. If you are not happy with a treatment or service we provide, we will work with you until you are satisfied. We offer free weed touch-ups and service calls in between treatments when needed. Please take a look at our Google customer reviews. Our clients love that we use the safest products available. They appreciate that our team is highly-trained, trustworthy, and responsive. They love seeing their lawns transformed into spaces they truly enjoy and are proud of. Vision is the key to survival. Millions of people face abandonment, despair, and starvation because their blindness inhibits their ability to earn money. CharityVision brings new life to these people by providing 65,000 eye surgeries each year. After a fifteen-minute procedure, children see their families for the first time. They see themselves in the mirror. They absorb the colors and beauties of the earth. They see hope in the future. We couldn't think of a better gift to give than the gift of sight. That's why Eco Lawn Of Utah pays for one eye surgery for each new client. 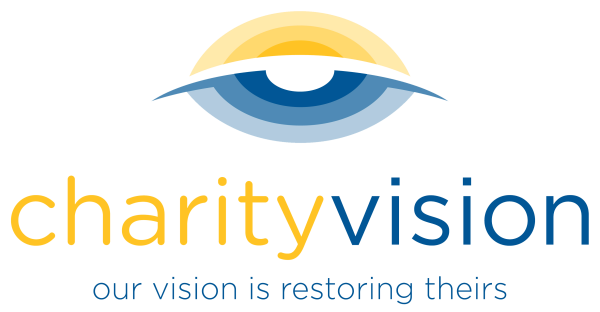 We invite you to get involved with this amazing project at http://charityvision.net/. Sign Up Today And Get Free Aeration! *Don't know your square footage? Click here and enter your address. Outline the grass areas of your property and the square footage will appear under the "Area" section. Example. Because your lawn is large, we would like to come look at it in person. Please send your name, email, and address to: info@ecolawnutah.com. In , we do treatments a year. If you sign up late in the season, we will do fewer treatments. Almost There! Enter your address below to sign up! Thank you! A representative will contact you shortly. You will not be charged until we confirm the service with you and do the first treatment. Need help with this quote?